The Tisdale retail market place continues to be very much alive and thriving. 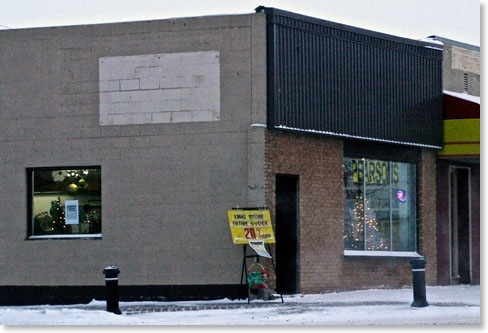 During 2012 we have seen a number of new businesses open in the downtown area of Tisdale and a few have made some big changes. Field’s Mini Mart in the Tisdale Mall went through the closing process, selling off its stock and announcing it was closing but behold it has reorganized its whole store, introduced some changes in its product line and is open and looks to be filling a need in Tisdale and the surrounding area. 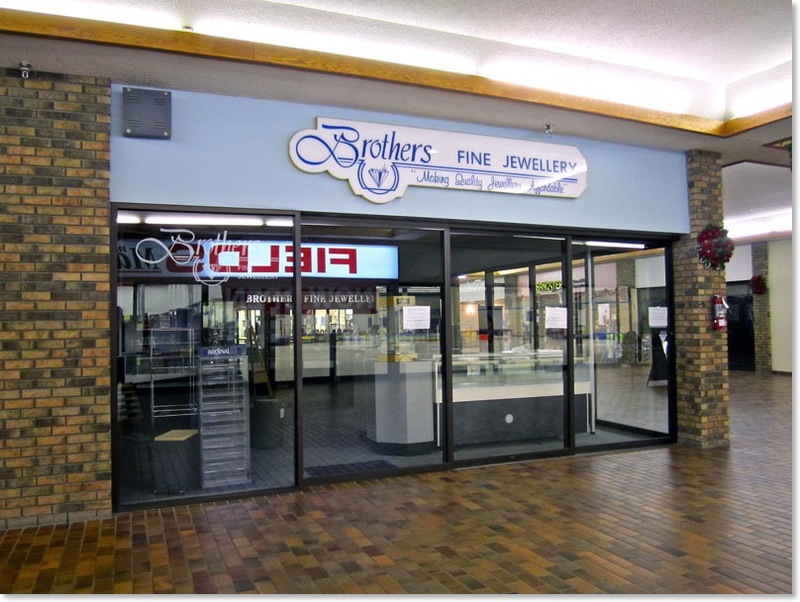 Two new businesses have opened in the Tisdale Mall, a scrape book boutique is located between the Chamber of Commerce office and the former Brother’s Jewellery. A liquidation store has opened in the space once occupied by the Dollar store. It has a large variety of items including kitchen appliances and quite a wide variety of goods. Meanwhile downtown there have been many of changes. Anew tailor shop has opened behind the Royal Bank and across the street Martin’s fourth floor has closed and is now open and an extension of Pearson’s. The music shop just south of the Great Wall restaurant has closed. Across the street, Zoerbe’s Bakery is now Tremblay’s Bakery and has a deli offering lunch and coffee throughout the day. 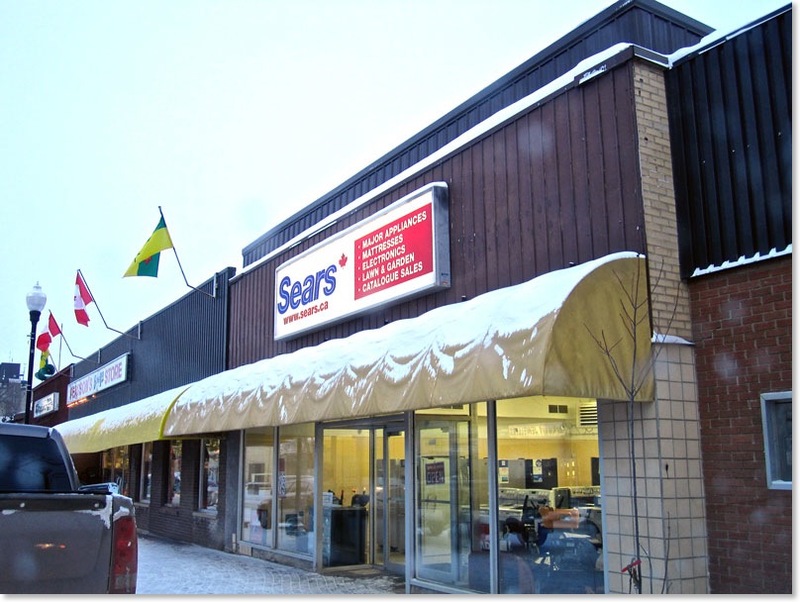 The building just north of the Royal Bank that last operated as a large household appliance outlet has closed and that store has been taken over by Tisdale’s Sears outlet. With the increased space available they have expanded their stock and expanded the stores operations. 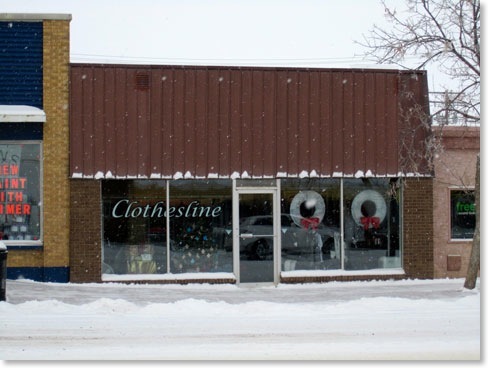 The building that it formerly occupied across the street just north of Lamb’s Hardware is now The Clothesline which has closed up its operation in the Tisdale Mall and moved downtown. 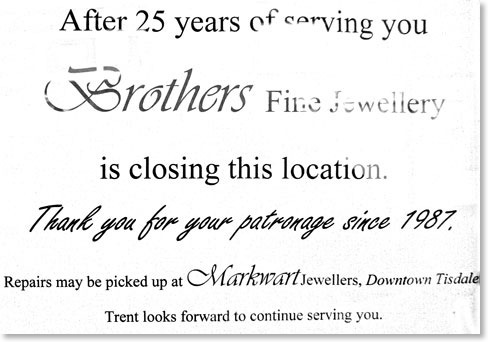 Brother’s Fine Jewellery that was in the Tisdale Mall has closed. Tisdale’s Mall still has the two anchors on each end, Extra Foods and Field’s Mini Mart ,while Sangsters, the travel agency, Mr. Ribs and the wellness centre continue to operate. You will have noticed that Melfort, Saskatoon and Regina malls are all having problems keeping businesses going. The trend of course is to the stand alone big box merchants like Canadian Tire and Walmart that draw customers and the malls everywhere are having to buck that trend. However, with excellent retail and office space like that in shopping malls we could very well just be going through a dry mall spell. 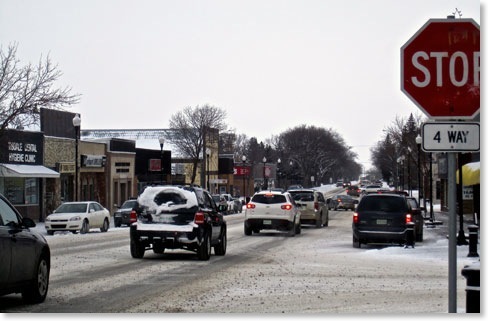 It is hard to say because there is no question that the marketplace as a whole is pretty much unchanged in Tisdale in the past fifteen years. Tisdale, Nipawin and Melfort all seem to have similar revenues even though Melfort has the Canadian Tire that has been only a shift from the mall to the open area on the city’s south east corner. 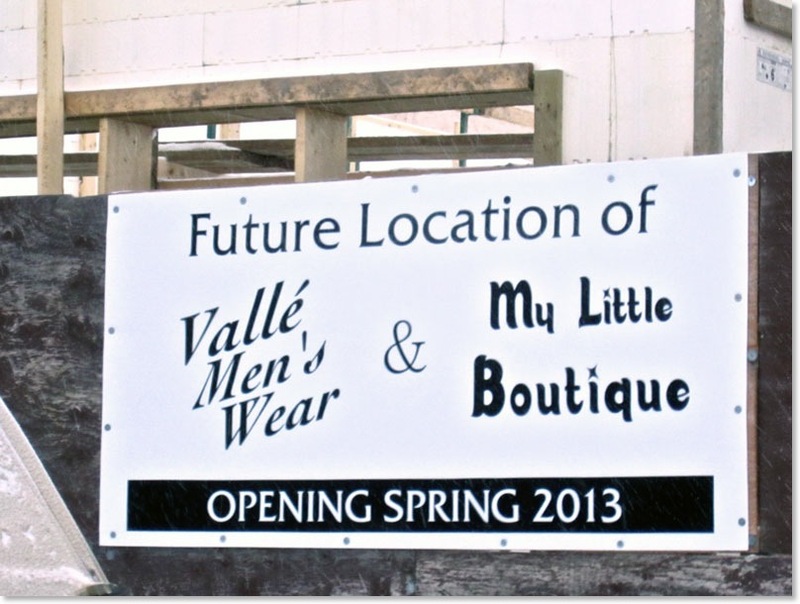 Tisdale’s only men’s wear store, Valle’ Men’s Wear is developing a new store on the former site of Crawford’s Studio downtown. Clearly, this is a vote of confidence in this Tisdale market and though it will leave a hole in the mall it fills a hole downtown. Restaurants in Tisdale are also undergoing changes. There are now only three sit down restaurants. Gus’s Greek Ribs, The Great Wall and Mr. Ribs in the mall. The Venice House/Melrose Place across from the South end of the cenotaph park is still closed and has been for almost a year and Chicken Delight which was renamed Chicken Dee closed up this fall and the building and great location is for sale. Both of these are viable businesses and you will find if you are going out to dine for lunch or supper in Tisdale, be prepared to wait a bit to be seated at Gus’s, you will have to share a table at the Great Wall and business is brisk at Mr. Ribs. In addition, Tisdale’s fast food outlets are all doing excellent business. A&W, Subway, Robin’s Donuts, The Beeland Co-op and as mentioned Tremblay’s Bakery. The community’s three confectionary locations are all pretty busy. So much so, Tisdale’s 7/11 is one of the province’s busiest outlets for the chain. Wick’s, on the North side of town and Turbo attached to Robin’s Donuts are not open during the night, but have lots to do during business hours. Variety is the most important aspect of eating out and with only the three restaurants in Tisdale, we notice other Tisdale folks like us, show up in Melfort restaurants, only half an hour away. So I am hopeful that both Chicken Delight and the former Venice House are purchased and reopen. One of the reasons Tisdale restaurants have had a difficult time is the shortage of help. All of the restaurants that have closed since we came to town in 1995 have explained that after ten years of working seven days a week, their owners have called it quits and in the case of both Subway and A&W, these businesses have imported their workers. 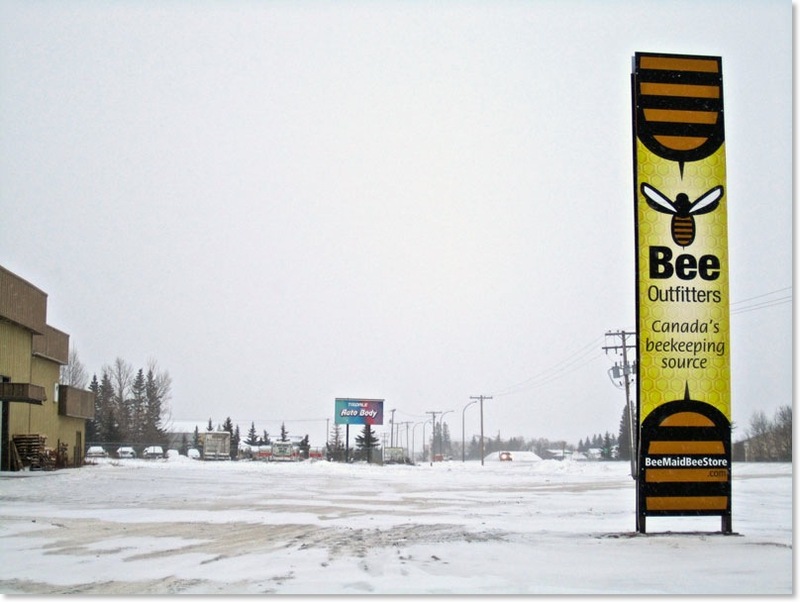 Bee Outfitters has been out on highway 3 for a while now, but they have a nice new sign that I thought you might like to see. Out on the highway other changes have occured. The ESSO bulk fuel business has shut down and John Bob has expanded. While BowMar has given their operation a complete face lift.